$2.00 Arrow with Fringe - 5 Sizes! $2.00 Blank Case for Cell Phone - 3 Sizes! $3.00 Malamute Dog - 2 Sizes! $4.50 Wolf - 3 Sizes! $2.20 Bell Key Case, In The Hoop - 5x7 $4.50 Bell Key Case Monogram Set, In The Hoop - 5x7 $3.50 Mr. Mrs. Passport Cover 3, In The Hoop - 6x10 $3.50 Mr. Mrs. Passport Cover 2, In The Hoop - 6x10 $3.50 Mr. Mrs. Passport Cover, In The Hoop - 6x10 $2.99 Butterfly Passport Cover - 6x10 $1.90 Dog Bone Applique - 3 Sizes! $4.20 Dog Soft Toy, In The Hoop - 3 Sizes! $4.90 Rose Cosmetic Bag - 6x10 $4.90 Rose Cosmetic Bag - 5x7 $8.90 Rose Wallet, In The Hoop - 6x10 $8.90 Rose Wallet, In The Hoop - 7x11 $8.90 Rose Wallet, In The Hoop - 8x12 $3.90 Rosebud Flower Pencil Case - 5x7 $3.90 Tulip Flower Pencil Case - 5x7 $3.50 Coasters, In The Hoop - 4x4 $4.50 Rose Card Case - 5x7 $2.60 Clover - 3 Sizes! $1.90 Heart Fringe - 3 Sizes! $5.99 FSL Fillet Lace Butterfly - 5x7 $2.20 Clover Wreath - 4 Sizes! $6.50 Alphabet Card Case - 5x7 $6.90 Phone Case - 3 Sizes! $8.90 Wallet 2, In The Hoop - 7x11 $8.90 Wallet , In The Hoop - 7x11 $8.90 Wallet 2, In The Hoop - 8x12 $8.90 Wallet, In The Hoop - 8x12 $2.80 Mr and Mrs Card Case Set - 4x4 $2.30 Home Sweet Home - 4 Sizes! $2.00 Happy Easter - 4 Sizes! $1.99 Bracelet and Earrings Tatting 2 $1.90 Piggie Silhouette - 9 Sizes! $1.90 Cat Silhouette - 9 Sizes! $4.90 The Learning Tree - 5x7 $1.90 Geometric Heart - 5 Sizes! $2.00 I Love You Heart - 3 Sizes! $1.99 Glasses Smile - 3 Sizes! $4.50 3D Felt Alphabet - 5x7 $4.50 3D Felt Alphabet - 4x4 $2.99 FSL Tatting Style Necklace and Earrings Set $6.99 FSL Hat for Doll - 5x7 $2.10 Faux Zipper Set - Closed $2.90 Money Clip, In The Hoop - 6x10 $5.90 Decorative Cat Coaster Design Set - 3 Styles! $5.90 Decorative Pig Coaster Design Set - 3 Styles! 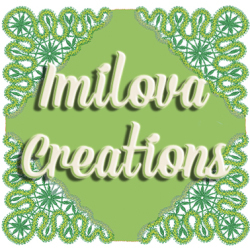 $3.50 Pig Coaster Design Set 2 - 5 Sizes $3.50 Pig Coaster Design Set - 5 Sizes $3.50 Decorative Coaster Design Set - 5 Sizes $2.90 Flower Border Set $2.20 Mandala - 5 Sizes! $3.90 Trapunto Passport Cover Letter Z, In The Hoop - 6x10 $3.90 Trapunto Passport Cover Letter Y, In The Hoop - 6x10 $3.90 Trapunto Passport Cover Letter X, In The Hoop - 6x10 $3.90 Trapunto Passport Cover Letter V, In The Hoop - 6x10 $3.90 Trapunto Passport Cover Letter U, In The Hoop - 6x10 $5.90 Skull Zippered Bag - 4 Sizes!